Box: Walmart Beauty Box is a quarterly beauty sample subscription box from Walmart. Contents: Beauty samples based on your age at sign-up. Under 35 get the Trendsetter box, and over 35 get the classic box. In this box we got a discount for the Smile Club (kind of like Invisalign), as well as a tiny sample of Body Oil. This is an interesting idea, but I feel like I won’t use them that much. I’ll just continue to wash off my face masks the old fashion way. Makeup remover wipes can get expensive, so I’m really happy to have gotten these! They aren’t the best wipes, specifically for removing eye makeup, but they do a decent job. Press-on nails are so nostalgic for me! This patten is really beautiful and not over the top – I’m going to give them a try! This is a really great sized sample! I love using these samples for when I travel – it’s the perfect amount! I’ve been starting to use facial moisturizer and have really been seeing the difference in my skin. I should be using lotion regularly too! Final Thoughts: I apologize for not doing a roundup of the value, but these tiny samples are sometimes really hard for me to calculate! I can say though that this is definitely worth the $5 cost of the box – the mask remover sponges and press-on nails alone are definitely more than $5, so that’s great! 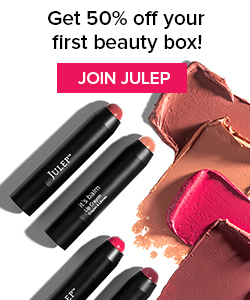 This is a wonderful selection of products, and I can’t wait for the fall beauty box! 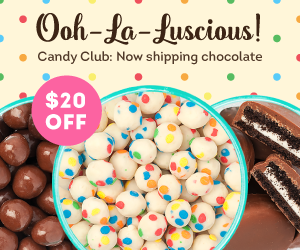 Click here to get the Walmart Beauty Box! Disclosure: Subscription Love paid for this box. All views in this post are the opinions of the author. Subscription Love will never accept payment in exchange for a review, but may accept a box at no cost in exchange for an honest review. This post may contain affiliate/referral links.